Roxane Gay: ‘The World, Wide Open’ (The Undefeated). Attention as writing craft (Granta). Popular culture, Alice Bolin, and the alluring occult (Bustle). 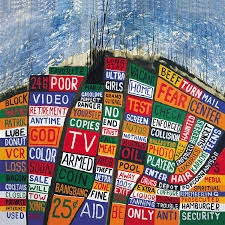 ‘Over and over you are parachuting into an unfamiliar country and culture. You have to make connections, get the sense of a place and gather enough material to write something’ (New York Times). No excuses, or making your manuscript in the moments between (The Millions). Catching up with Sharon LaForge years after Larry Colton’s basketball book (The Missoulian). A typeface for Pride 2018 (AIGA Eye on Design). Blog bonanza: Inspiration fishing with Andrea Johnston, filmmaking after film school from Kristal Sotomayor, what to expect at film festivals by Tyler Dunning, and film opportunities (Submittable). SAND, Berlin’s English Literary Journal, seeks poetry, fiction, nonfiction, and visual art. Lost & Found from Tin House features short essays examining under-read, overlooked, or otherwise ‘lost’ books which—for reasons personal, political, artistic, or otherwise—deserve to be found again. For Solo: A Festival of Dance, On the Boards seeks performance proposals of approximately 20 minutes in length. Paper Darts seeks flash prose. Twice a year four Maine artists are awarded a studio and stipend for six months through the Ellis-Beauregard Foundation’s Studio Resident Program. The Peter K. Hixson Memorial Award sponsored by Writer’s Relief will be presented to one poet and one short story writer. Winners will receive $1,800 in Writer’s Relief submission services free of charge. Chaleur seeks essays, stories, poetry, and art for its August issue. Target Gallery invites artists working in all visual media to send artwork for the Art of Armistice, a group exhibition that explores the after-effects of war. Storgy seeks short stories for its Shallow Creek Competition. Now in its 26th year, The Living Room Series is a new play development program from The Blank Theatre in Los Angeles. Carve accepts short stories, poetry, and nonfiction year-round from anywhere in the world. Contemporary Art Museum St. Louis welcomes visual artists, performers, musicians, designers, architects, filmmakers, and other creatives to participate in Open Studios STL. The Piltdown Review seeks short fiction that balances elegant writing with actual story. Festival author, panel/event proposal, and exhibitor applications open for Montana Book Festival. Visible Ink is an annual anthology promoting emerging Australian writers and artists. The Black Doctoral Network’s Conference Committee invites workshop proposals for its 2018 conference from academics and professionals in the social sciences, STEM, and humanities. Redivider seeks previously unpublished works from new, emerging, and established artists and writers. For its fall issue, Nunum is calling for art and flash fiction. Gold Wake Live, the online extension and soul-expansion of Gold Wake Press, in interested in all genres. The Los Angeles Chamber Orchestra seeks a stage manager and ticket services assistant. Come work with Submittable in Missoula, MT. Share your hits and misses to be part of next week’s newsletter. Please note: Submittable will never publicize your submission data unless you fill out our promotions form to express interest. That would be very uncool. Radiohead x 2, Paul White, James Brown, Kelly Lee Owens, King Krule, Grizzly Bear, Haley Heynderickx, A$AP Rocky + Frank Ocean, and more. Follow Submittable’s Spotify for new music and hot summer playlists. Customer Experience Representative Hannah Bollig recently read Born to Run: A Hidden Tribe, Superathletes, and the Greatest Race the World Has Never Seen by Christopher McDougall. 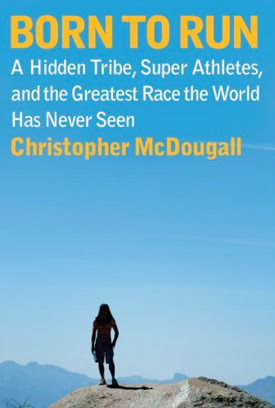 This book describes one man’s journey into the world of ultra-marathon running—it explores the role of running in other cultures and addresses our relationship to running, as a species, from a biological perspective. Mixing story and science, Born to Run takes you off the couch and out on a true adventure.